The US restaurant industry generates 11.4 million tons of food waste every. NYC restaurants, caterers, hotels and grocers are responsible for producing over 400,000 tons of food waste every year. 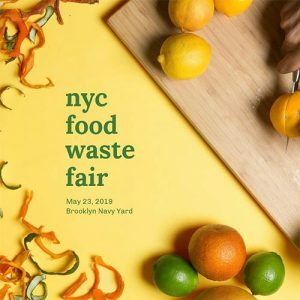 Anyone interested in reducing food waste, such as chefs, grocery store owners, street vendors, restaurant and fast food operators, manufacturers, wholesalers, and building and custodial management should attend the 2019 Food Waste Fair brought by The NYC Department of Sanitation’s Foundation for New York’s Strongest. The Fair is an interactive experience connecting food, beverage and hospitality professionals with the resources and education they need to reach zero food waste in their businesses by providing hands-on workshops, training and access to resources that will lead to more sustainable operations and save the business money when less food goes to waste.